Many people who are ageing or have been diagnosed with a long-term health problem can continue to enjoy quality life at home with the assistance of caregivers. However, it is not always possible to “age at home,” and some seniors need to seek senior care in a supportive environment, such as a retirement home or care facility. Nursing Homes Nursing homes or centres are essentially long-term senior care facilities for elderly people who are completely dependent on caregivers. Licensed nurses are available 24/7 to provide a high level of medical care and professional assistance. 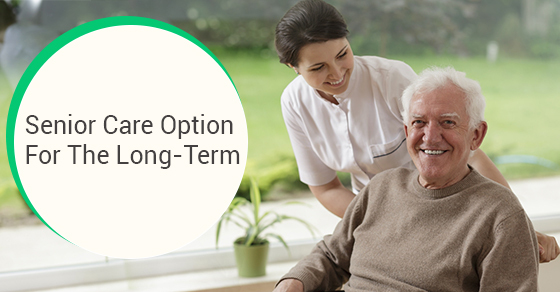 Some nursing homes provide short-term rehabilitative accommodation for seniors recovering from surgery, illness or injury.However, most residents have complex medical conditions and high care needs that demand round-the-clock, skilled nursing services. The residents usually share rooms and have their meals in a central dining area, unless they are not strong enough to participate. Assisted Living Also referred to as personal care homes, assisted care communities are ideal for seniors who are not capable of living safely on their own, but are not so dependent that they need the high level of care found in nursing homes. The seniors reside in private apartments that may have a small kitchen area, though the three main meals are provided in a central dining area.Staff is available 24/7 to provide assistance with meals, medications, housekeeping, and other activities of daily living. Other services offered include licensed nursing services, social and entertainment activities, and scheduled transportation. Most communities require private pay. Memory Care Many senior care facilities provide a dedicated area for people with Alzheimer’s or dementia, though there are some facilities that exclusively handle seniors with impaired memory. This group requires 24-hour support and carefully selected activities that won’t compromise their safety and well-being. Senior Independent Living CommunitiesAlso known as retirement communities or congregate care, independent living communities are ideal for seniors with few medical problems who are still strong enough to live independently. The housing is in the form of apartments that vary in size from studios to two-bedroom. Residents have access to custom-designed meal packages, as well as multiple social outings and entertainment events to choose from. Retirement communities mostly require private payment plans. Residential Care HomesThese are essentially private homes designed to serve seniors living together in a private and home-like setting. The caretakers provide assistance with basic activities such as bathing and dressing. Home CareThis kind of care allows the elderly to continue enjoying the comfort and independence of staying in their own homes. Caregivers are available to provide assistance with meal preparation, bathing, dressing, and other Activities of Daily Living (ADLs), as well as with Instrumental ADLs such as making appointments, paying bills, and transportation. Caregivers can be available round-the-clock, or during specific hours a day or certain days a week. Sometimes, caregivers may need a break, but the elderly person cannot be left alone. In such cases, respite care may be recommended for between a week and a month, where the residents are allowed to stay in an assisted living community or nursing home, where all their needs are met. Respite care can also help the elderly person get acquainted with a nursing facility they’re interested in, to see if they would like to move in if they like the short-term visit.